Hard Times was Dickens’s tenth novel. It first appeared in Dickens’s Weekly periodical, Household Words. It was published in installments that began in April of 1854 and ran through August of that year. In 1852 – The publication of Bleak House begins. His son, Edward or “Plorn”, is born. 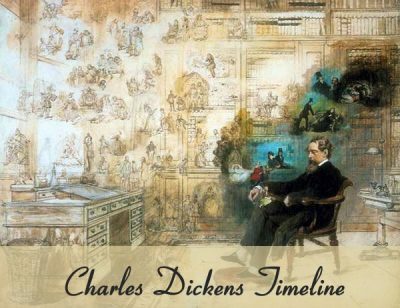 During 1853 – Dickens gives his first public reading of one of his works. 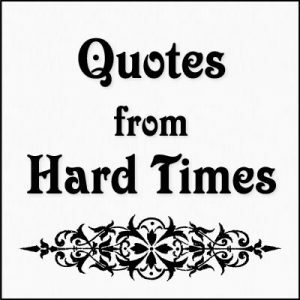 Hard Times is published in 1854. 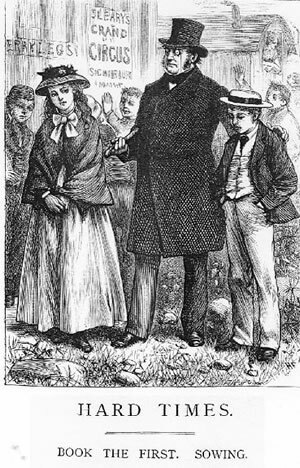 Dickens has a disappointing reunion with Maria Winter (Maria Beadnell) in 1855. Publication of Little Dorrit begins. In 1856 Dickens works with Wilkie Collins on The Frozen Deep. 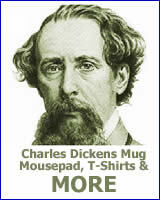 Dickens purchases Gad’s Hill Place. Hans Christian Anderson is entertained at Gad’s Hill Place in 1857. Dickens meets Ellen Ternan. Hard Times takes a hard, unsympathetic look at Utilitarianism. This philosophy was also called Philosophical Radicalism or Benthamism and was influential in the mid-Victorian period. The goal of Utilitarianism was “the greatest happiness of the greatest number.” This no-nonsense movement relied heavily on statistics, rules and regulations. Individualism and imagination are not highly valued in this philosophy. Thomas Gradgrind represents Utilitarianism within the novel. As he raises his children he stresses facts over imagination and function over feelings. Thomas Gradgrind apprehends Louisa and Tom at the circus. Divorce is also dealt with in Hard Times. (Dickens would face this dilemma himself in just a few years.) Stephen Blackpool is caught in a loveless marriage. He is unable to obtain a divorce and marry the woman he really loves. Hard Times was originally published in the weekly magazine, Household Words. The magazine was edited by Dickens from March of 1850 until May of 1859. The original format for Household Words did not include serialized fiction. However Dickens reconsidered his plan after the magazine’s circulation dropped. Hoping for increased magazine sales, he serialized Hard Times in Household Words. His new plan worked. The circulation of Household Words more than doubled. Just as the novel had an effect on the magazine, the magazine had an effect on the novel. Household Words was a magazine with limited space. 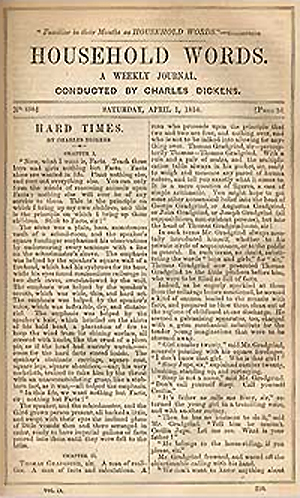 Dickens wrote to his friend Forster, “The difficulty of space is CRUSHING.” In order to make Hard Times fit within the magazine Dickens made Hard Times his shortest novel. It does not feature the prolonged humorous or sentimental scenes that are in many of his novels. Do you know who Stephen Blackpool loves? Who is known as "the whelp?" 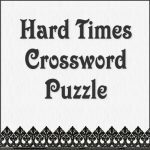 If you can answer these questions you must be a fan of Hard Times and you're sure to enjoy the Hard Times Crossword Puzzle.